Our main site, El Corazón, has a camping area offering fresh air and peaceful surroundings, two 6-bed dormitories featuring a unique design and excellent mattresses, and spacious, comfortable private rooms with eco-friendly bathrooms. Guests at El Corazón have use of a shared refrigerator and access to clean drinking water. You may choose to reserve a private room for yourself, or you can choose the “shared” option to be placed with a roommate. Because we have limited accommodations available, bookings can only be made for the time that you are enrolled in a specific retreat, course, or workshop. Each rate includes check-in at 12:00 pm on the day prior to the course start date and checkout at 10:00 am on the day after the course ends. If you need assistance finding alternative accommodation in the event we are fully booked or you would like to stay on after your course ends, we are happy to support you in finding financially accessible options in the nearby towns of San Agustinillo and Mazunte. Simply ask at the Registration Kiosk for assistance. After your course is completed, you are still always welcome to join us on a daily basis for meditation, drop-in classes, meals and community activities as a part of the Hridaya local community. If you would like more information or to make a booking, please visit our calendar or contact us at info@hridaya-yoga.com. *Meditation Retreat prices include a stay from the night before the retreat begins until the morning after it ends. **Yoga Retreat prices include a stay from the night before the monthly course cycle begins until the morning after the final ceremony. Many people choose to stay in one of the nearby towns of Mazunte and San Agustinillo, both within walking distance. With the exception of the high seasons around Christmas and Easter, accommodation can be found at a variety of price points. Please visit our Off-Site Accommodation page for a comprehensive overview of local options. Beautiful, high-end accommodations on the beach range from $50 USD to $125 USD per night. Basic rooms are available for around $7 USD to $25 USD per night. Most hotels will offer weekly or monthly discounts. Unless you want the comfort of staying at the school or you are arriving at Christmas or Easter, you may prefer not to book in advance, but just turn up and take a look around before deciding where to stay. There are plenty of options, so don’t worry. If you prefer to know beforehand where you will stay and would like to book in advance, do an internet search or write us with your specific needs and budget. If you are planning on staying for several weeks, be sure to shop around and negotiate as you may be able to get a substantial discount. Except for the holiday season, 300 pesos per night for a short stay in an economy room should be sufficient. Our neighbor, Hotel Arigalán, offers special rates to Hridaya students for their accommodations ranging from the affordable open-air cabañas to the air-conditioned rooms for those that need extra comfort. Please contact Rose at rose@arigalan.com. 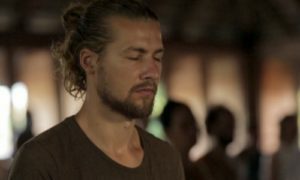 For the best deal, please mention that you plan to attend courses at the Hridaya Yoga Center in Mazunte.